Homeowners in Tucson or the southern Arizona area seeking help with their home loan or mortgage should know that skilled and qualified assistance is always available through The Law Office of Kathryn L. Johnson, . Two unique Federal programs offered today known as The Home Affordable Refinance Program and The Making Home Affordable Plan offer homeowners a unique opportunity to save their home from foreclosure. 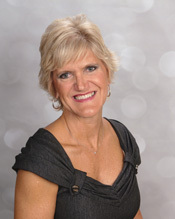 Kathy Johnson is uniquely qualified to offer individuals detailed and specific assistance with regard to saving their home from lender foreclosure action. In addition, homeowners should know that Kathy has a long and distinguished career as a real estate broker and qualified mortgage broker. The Home Affordable Refinance Program is designed to assist homeowners in gaining new financing for their home. It offers people an opportunity to refinance when a home has greatly declined in value. Homeowners with a negative equity situation who are paying more than what a property is worth will find great value in this particular program. In some cases lenders also offer other incentives that help you qualify for these types of Federal Government programs. This unique federally directed loan modification type program has several key requirements. For example, the program requires that principal, interest, taxes as well as insurance on a home do not exceed 31% of a homeowner’s gross income. Falling into this category indicates that a homeowner is in a hardship condition and entitles them access to this particular program. In addition, the home in question must not exceed a total gross value of $759,750. Attorney Kathy Johnson understands the importance of offering good legal representation when a homeowner is trying to save their home. She can be expected to take a leadership role in ensuring that a homeowner gets the best possible deal with regard to their home loan modification or refinance program. Those living in the Tucson area should contact the Law Office of Kathy Johnson to set up an initial consultation that is always free and always without obligation.